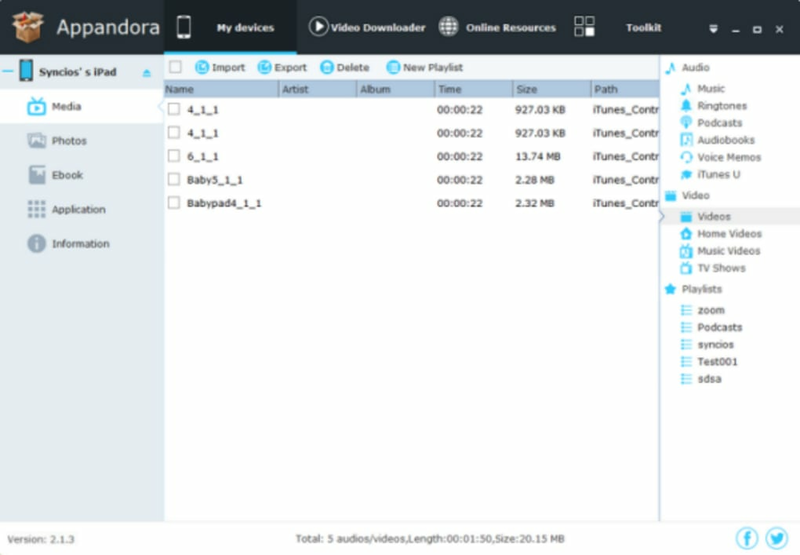 Appandora is an easy-to-use yet powerful iOS device manager, which is well-designed for users who want to manage media contents between iOS devices and PC. 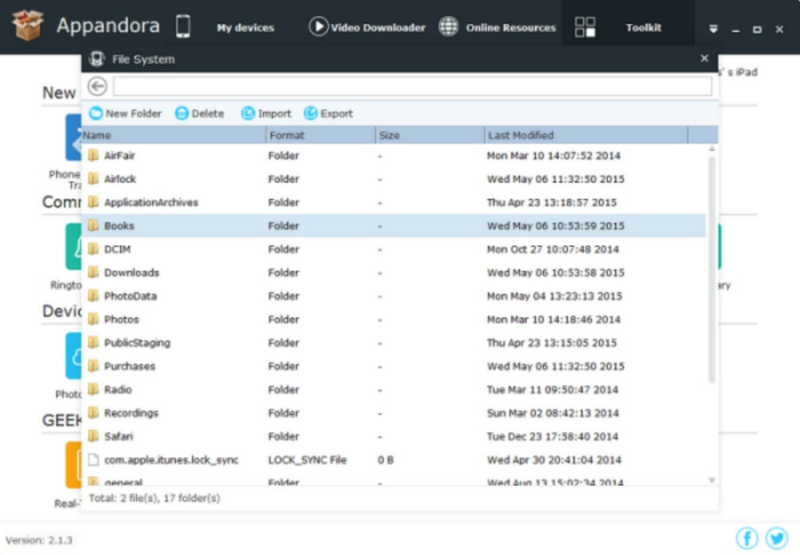 As an iOS manager, Appandora supports accessing any iPod touch, iPhone or iPad to export apps, photos, music, ringtone, videos, and eBooks to your PC for backup. Transfer files from your PC to iOS devices will be also available. 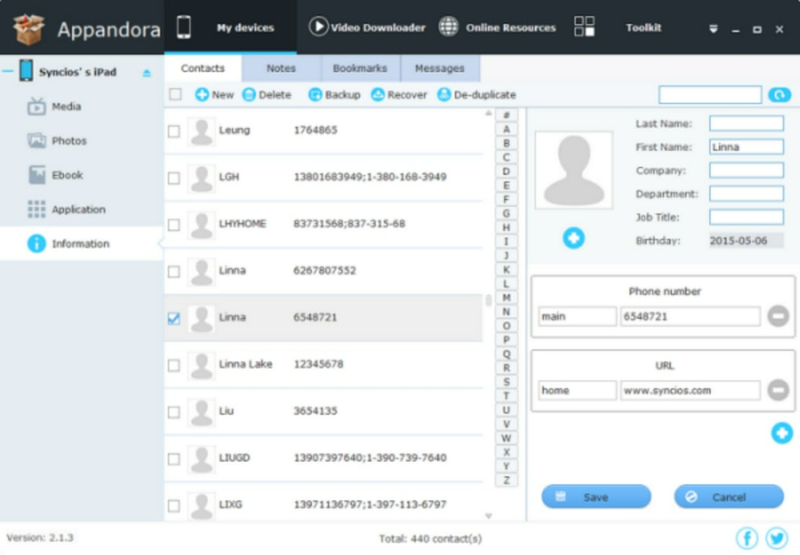 With Appandora, you can freely install, uninstall or backup iPad/iPhone/iPod applications (*.IPA) between PC and iPod/iPhone/iPad. You can also transfer audio files including music (.*MP3, . *M4A), ringtone (. *M4R), audiobook (. *M4B) between iPod/iPhone/iPad and PC. Add audio files from your computer to iOS devices, back up iOS devices contents to PC, delete unwanted audio files and move audio files to suitable playlist will not be a hard task again. 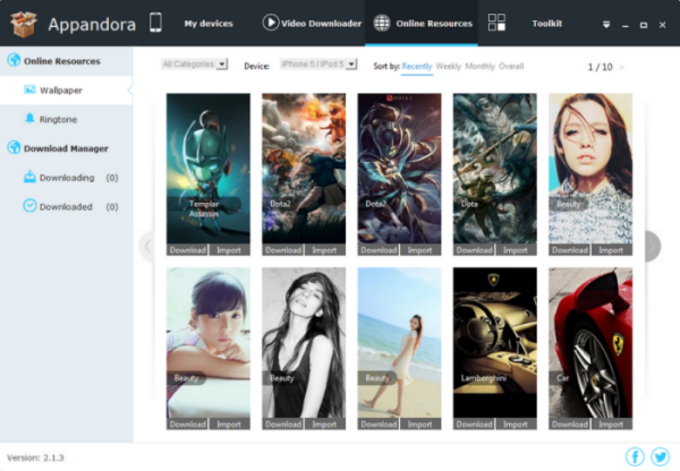 Appandora supports various image formats, including JPG, JPEG, PNG, BMP, TIF, TIFF. You can create a new album, transfer images from computer to iOS devices, delete unwanted image files. 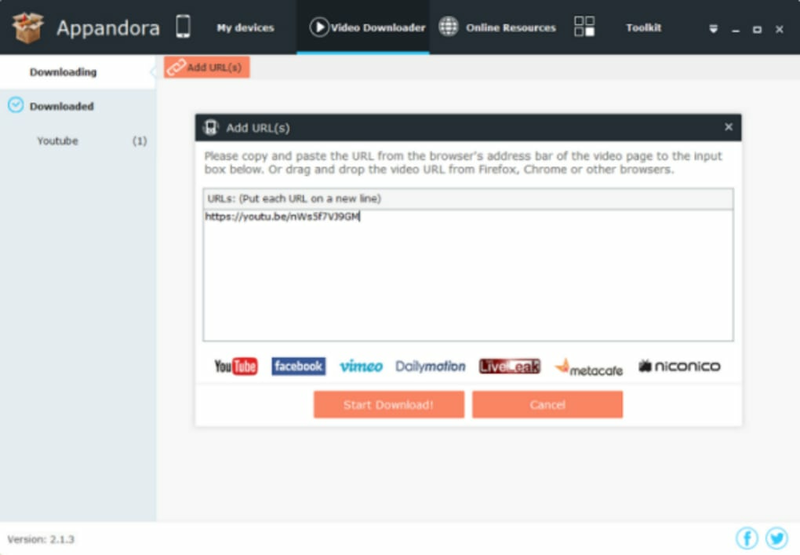 Appandora can also transfer all popular video formats (MOV, M4V, MP4) directly, so you can freely manage movies, TV shows, music videos between iOS devices and PC, add local video files to your devices or delete video files. Backup video files from iPod, iPhone, iPad to your PC is also available. With Appandora Software, you can download unlimited wallpapers, ringtones, youtube videos freely and play music directly from your iPod, iPhone, iPad without iTunes. Even create and edit playlists for your iPod/iPhone/iPad, transfer or delete files between your devices and PC. Appandora is also a perfect assistant for you to add, delete or backup your local eBooks ((Epub/PDF) seamlessly between your computer and iPod/iPhone/iPad. What do you think about Appandora? Do you recommend it? Why?